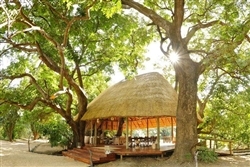 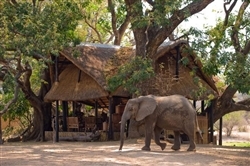 ﻿﻿﻿Bilimungwe Bushcamp is small and intimate, with 4 raised thatched chalets that have been designed to blend in with the surrounding landscape. 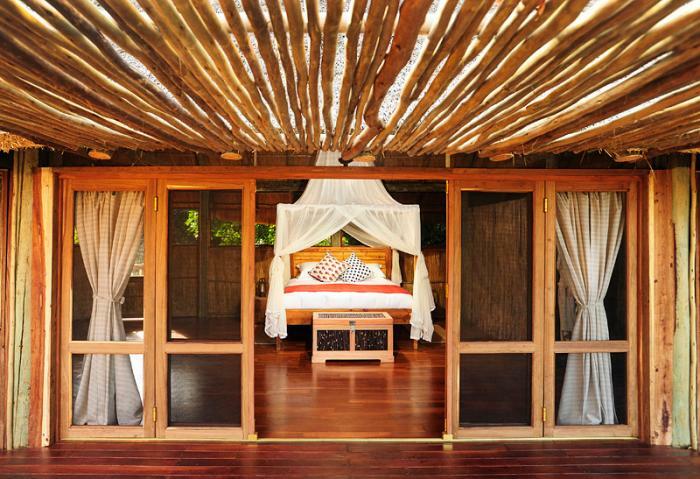 The dark wood of the trees is echoed in the wooden furniture and rich colour scheme to create warm and stylish accommodation. 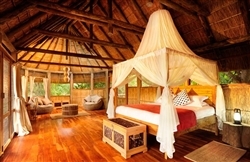 Each chalet has a private porch that looks out onto one of three waterholes, an en suite bathroom, which includes indoor and outdoor showers. 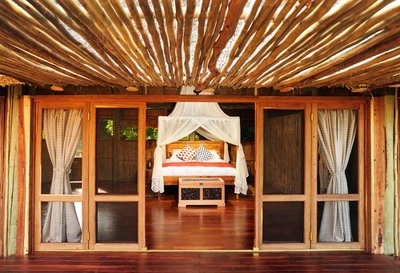 Two of the chalets have twin beds (queen-sized beds) and two have doubles (king-sized bed). 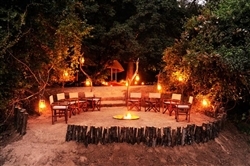 The heart of the bushcamp is the rustic lounge area built beneath a huge winterthorn tree and looking out over a shady waterhole, which is a favourite of local warthogs, elephant and other thirsty game. When it comes to wildlife viewing, Bilimungwe Bushcamp offers walking safaris, day and night game drives, and bird watching. 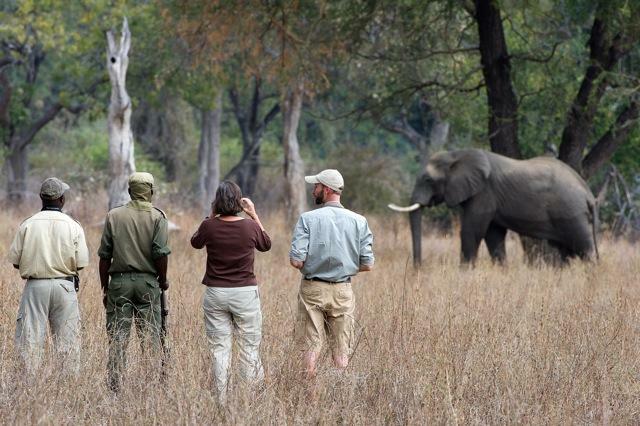 You can see wildlife in the trees surrounding camp, the nearby plains, and numerous waterholes, on even in the Luangwa River itself - making it easy to fill your days in this beautiful and diverse area. 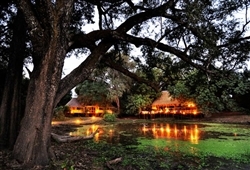 In between outings, find a chair and enjoy the wildlife magnet that is Bilimungwe’s permanent waterhole. 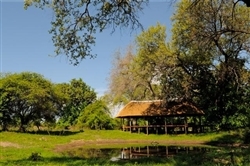 Children over 12 years are welcome at Bilimungwe, but if the camp is taken for sole use, on a private basis, children under 12 are welcome.